I love this quote from Henri Matisse! I love that it encourages us to persevere and keep going both when we’re down and when we’re successful. In this mini-lesson students will learn how Matisse refused to be a prisoner to an illness and they will become artists themselves working to create their own cut-out artwork. Not only is this a practical art lesson, but also this lesson provides the opportunity to build socio-emotional skills like empathy as you and your class discuss Matisse’s life, work, and illness. Henri Matisse became famous for his paintings, but after being diagnosed with abdominal cancer he had to change artistic mediums because he could no longer stand. He went from painting to “painting with scissors.” His illness kept him indoors and he could have given up his art. Instead, using colored paper, scissors, and glue, Matisse persevered and entered a new phase of his career. He used his new art form to create beautiful pieces of art that brought nature and music to his life indoors – and to the lives of many others as well! While art making can be fun, in my experience it can sometimes give students anxiety. Countless times, I’ve heard students declare that their art is “ugly,” “wrong,” or “bad.” Students often ask for a second (or third, or fourth!) piece of paper because they “messed up.” In fact, when I went over this lesson with Live It Learn It’s two high school interns, one of them bemoaned, “I’m not good at art!” She ultimately created something really awesome, but her initial reaction was to be nervous. Those experiences I’ve had with students are why I began this post with a quote. Matisse’s words recognize that there are many ways we can get stuck as artists, but that we must persevere and we must keep trying in order to create art. I enjoy that sentiment, and I hope it’s something you will carry through as you do this lesson with your students. We’d love to see how this lesson goes with your students so please share photos or leave a comment below! Objective: Students will read a biography of Henri Matisse in order to understand why he made cut-out artwork. Students will then be able to experience their own artistic process by making a cut-out. Time: About 60 minutes, but can be shortened or extended to fit your needs. Overview: Through the use of narrative, students will learn about Henri Matisse and why he began working with paper. 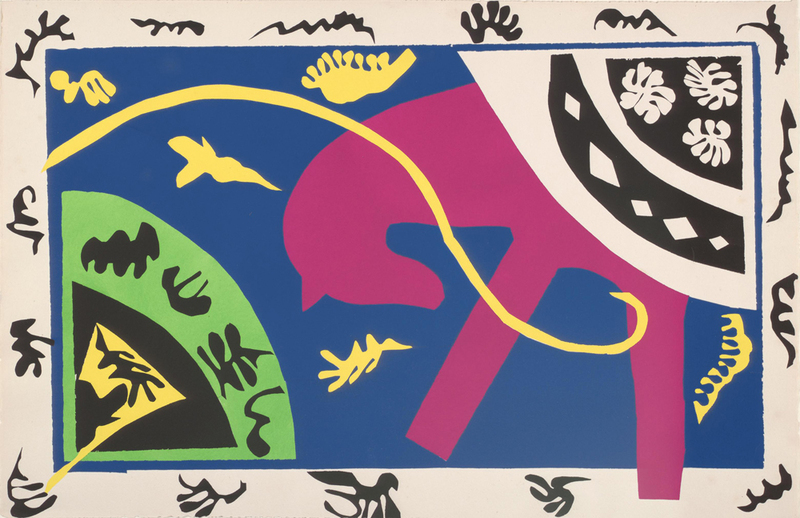 Students will then observe some of Matisse’s cut-outs, with a specific focus on how and why he created images of animals and nature. Finally, students will apply what they have learned by using their fine motor skills to turn construction paper, scissors, and glue into their own Matisse inspired cut-outs. Teacher Planning: Henri Matisse had a long and complex artistic career and students may have a lot of questions beyond the prepared activity. For that reason, below are a few resources you might want to use to learn more about the artist and his process. First, check-out the Museum of Modern Art’s excellent online information. This site has a perfect photo that shows Matisse in his studio, sitting in a wheelchair, and cutting paper. The photograph is a great complement to the illustrations in the book Henri’s Scissors. The site also provides some great insight into the process of how Matisse made his cut-outs. 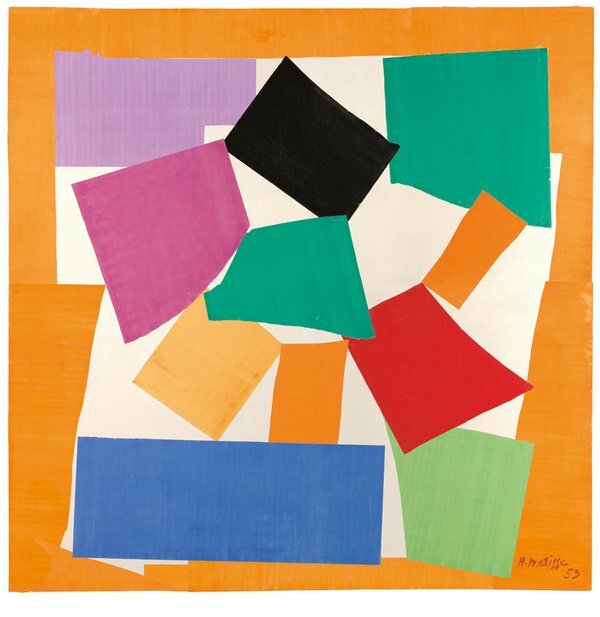 If you’re interested in a deep dive into Matisse cut-outs, check Tate Modern’s blog posts. I recommend the post entitled, “How Matisse Made his Masterpiece.” It’s about how he designed the Venice Chapel and you can easily see how the cut-out style was brought to life on the walls, windows, and in textiles. Even a simple Google image search for “Matisse stained glass” will show you some beautiful images your students will love. Finally, the National Gallery of Art’s artist biography for Matisse is a fairly concise resource that gives you some helpful information about his life prior to cut-outs. With all of this, you’ll be a Matisse expert for your students! Procedure: Introduce the content by telling your students that they will be studying Henri Matisse’s cut-outs. Then, gather your class to read them Henri’s Scissors. While you read, stop occasionally to check for understanding. I think it is nice to ask students what type of art he did as a young man (drawing and painting) and what he did as an older man (drawing and cutting). Ask students why he might have created a garden. Thinking about the garden imagery is important for later when they look at photos of his cut-outs. I also think it’s beneficial to ask students how Matisse felt when he first got sick and why, and then contrast that to how he felt later when he was by the seaside using his scissors. This is valuable because this line of thinking allows students to empathize with Matisse, think about a time when they felt frustrated, and realize that Matisse persevered and found a new way to be successful. Questions you might ask: What colors did Matisse use? What shapes? How does it look different than a real snail? How can we use our imagination to see a snail? Questions you might ask: How many pieces of paper did he use for the horse? How did this compare to how many pieces of paper he used for the snail? Can you see the Rider and the Clown? Why might this be the title of the cut-out? Questions you might ask: What colors did Matisse use? Why might he use these colors to show something about the ocean? What do we see that lives under the sea? Questions you might ask: What colors did Matisse use? How does this look similar to a garden? What kinds of things do you see in the artwork? Tell your class that similar to Matisse, everyone is going to make a cut-out. Challenge them to make something from nature, so that like Matisse, they can bring the outdoors inside! It can be helpful to generate a list of ideas on the board to help students get started. Flowers, trees, birds, and bunnies are all lovely ideas – but don’t forget rainbows, clouds, tree houses, mountains, waterfalls, and other offbeat ideas! Provide students with a base piece of paper, colorful construction paper, crayons or markers if you’d like, and glue sticks. Let them loose to create! Sometimes I like to play instrumental music while students make art. I find it fosters a calm, focused, but still imaginative environment. My favorite thing to play is Vitamin String Quartet because they play instrumental versions of popular songs. That means the music might be familiar to kids, but no worries about inappropriate language! When students are finished, have students sign their work just as a professional artist would. Finally, display the artwork prominently in the classroom. You could invite other classes, grade levels, or parents to come and have a gallery walk of what the class has created. Now, similar to Matisse, you have used paper to bring nature and creativity inside! Know Before You Go: To build on this classroom experience, you may want to bring your class to see Henri Matisse’s cut-outs at the National Gallery of Art, East Building. It’s a big museum with more than one building, so make sure you’re going to the correct place! You can find this exhibit on the Upper Level in Gallery 403B. A museum map can be found here. Please also note that the exhibit closes at 2:00pm. Ideas, suggestions, or additions to this mini-lesson? Please share them in the comments below! If you try this lesson out, please share by emailing at communications@liveitlearnit.org or by posting on social media and tagging us @liveitlearnitdc.